Our pitches are not partitioned, but stretch out into the surrounding countryside, giving you a sense of infinite freedom and possibility! 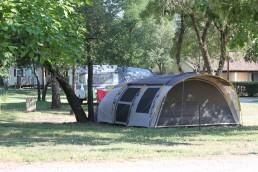 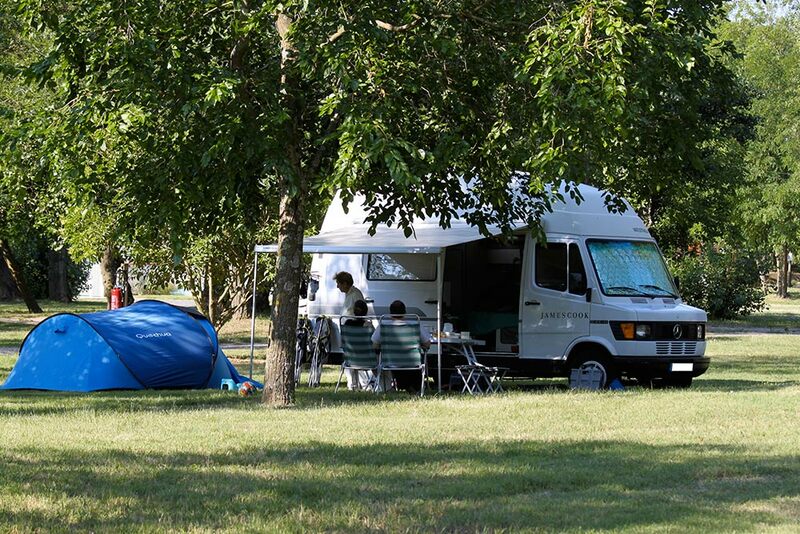 Decide how much shade you would like, choose your large, flat grassy pitch, pitch your tent or park your caravan or camper van and enjoy the peace and quiet. 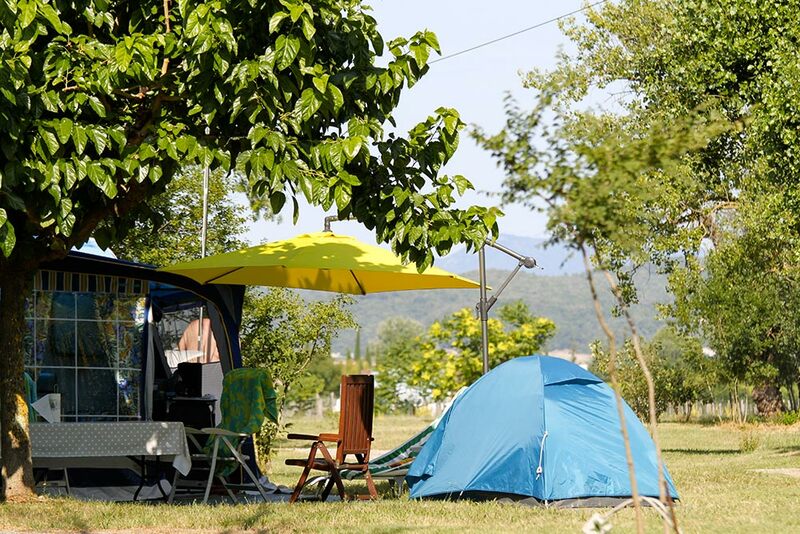 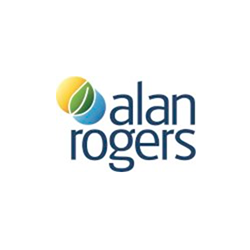 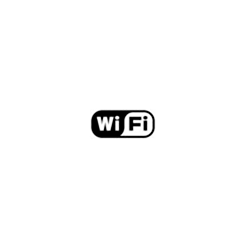 We offer pitches of at least 150 m2 (with a 10 Amp electric charging station and running water nearby), and a dump station for camper vans. We also offer pitches for the entire season. 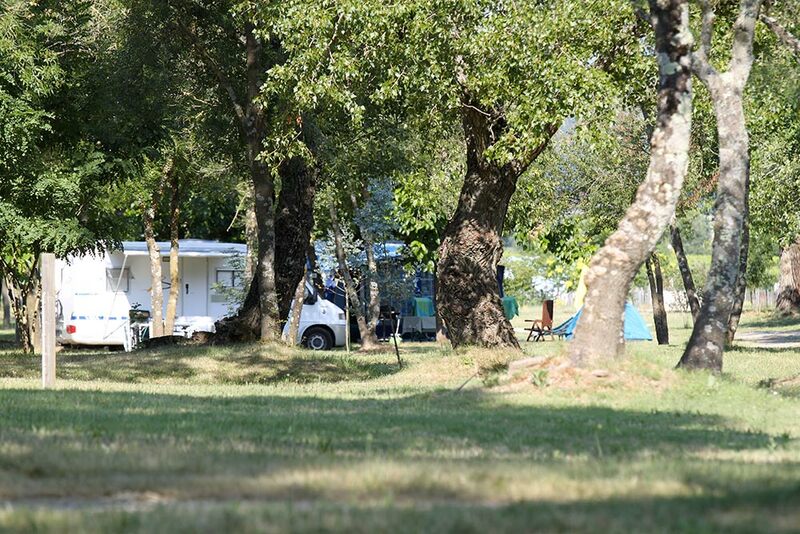 Below, you will find prices for our pitches. 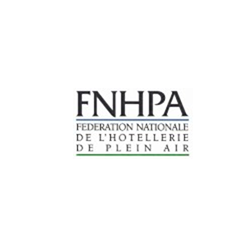 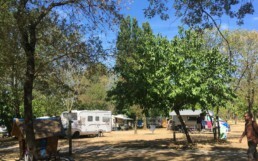 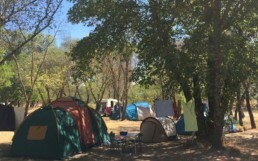 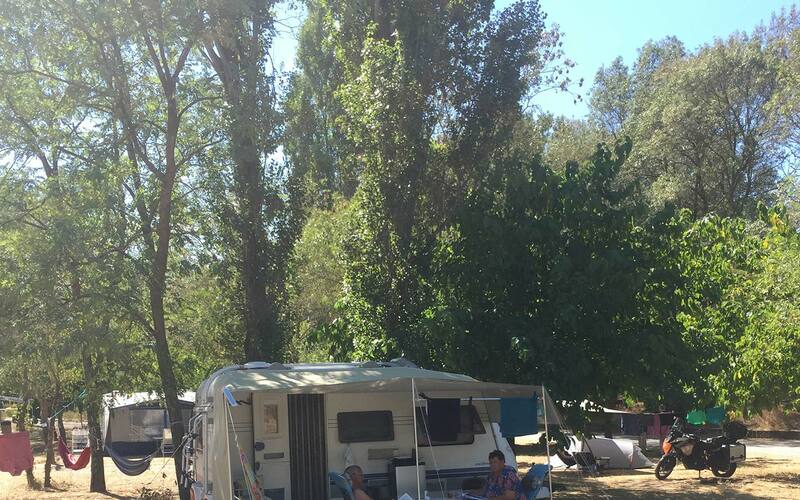 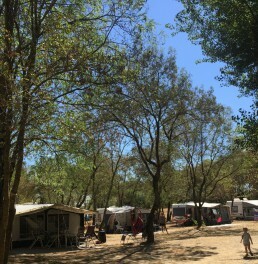 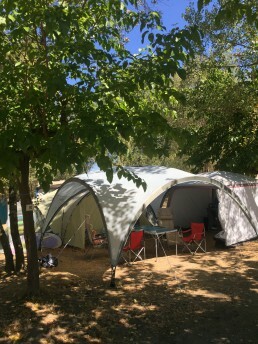 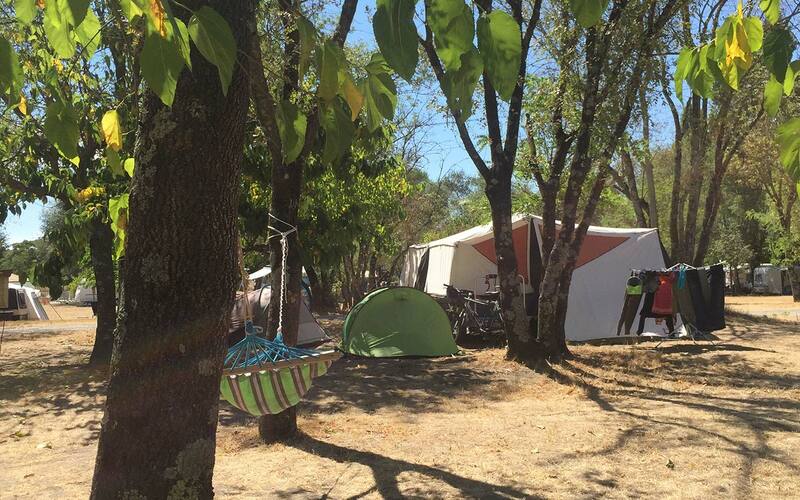 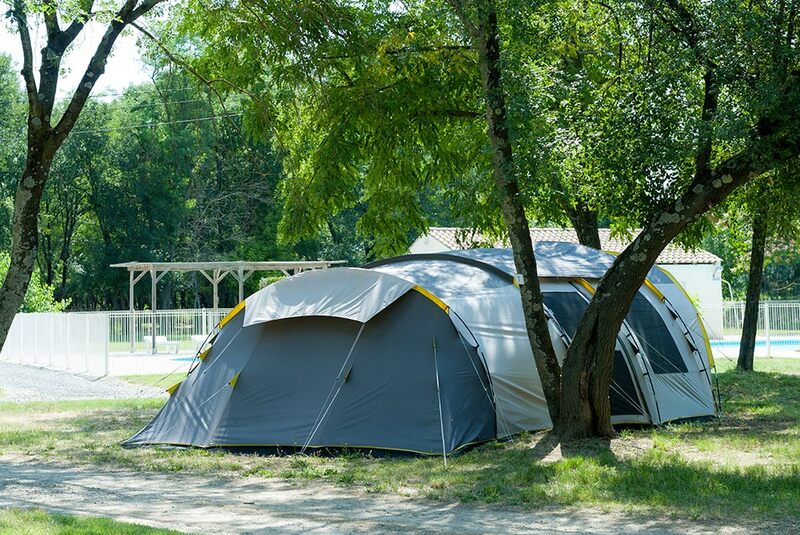 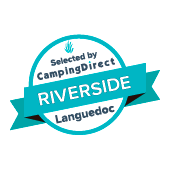 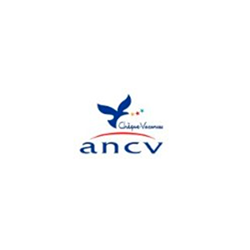 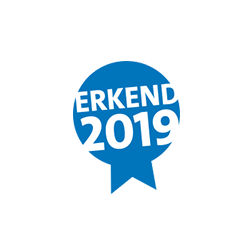 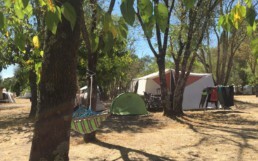 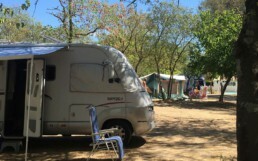 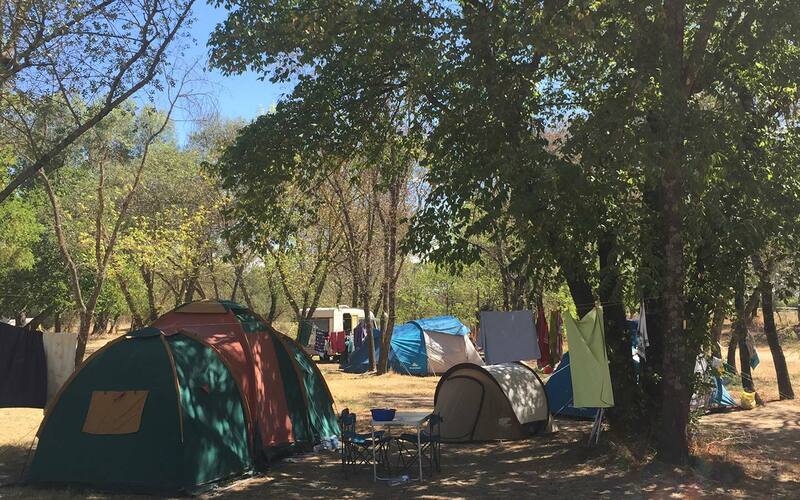 Please visit our downloads page to access the campsite brochure, map or rules and regulations..
Don’t forget cancellation insurance with our partner Campez Couvert. 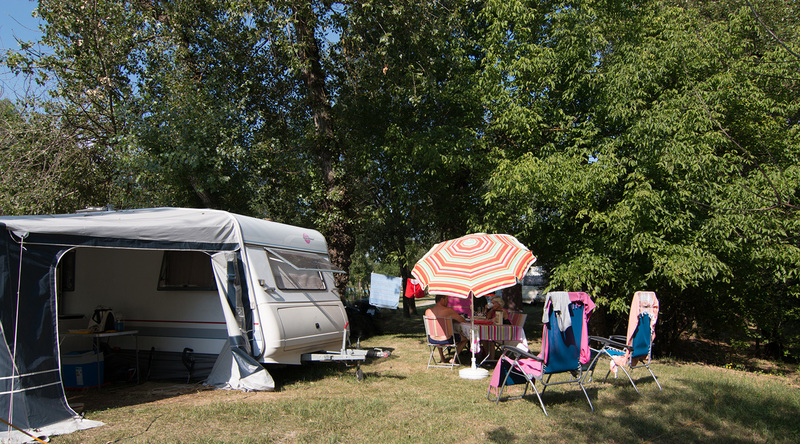 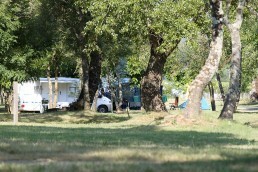 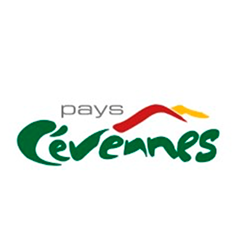 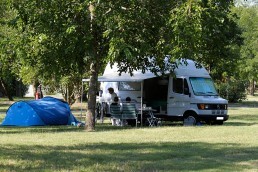 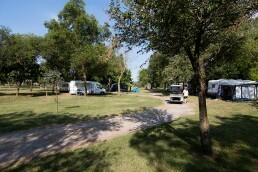 Consult our availability and book your stay at the Mas des Chênes campsite in just a few clicks!